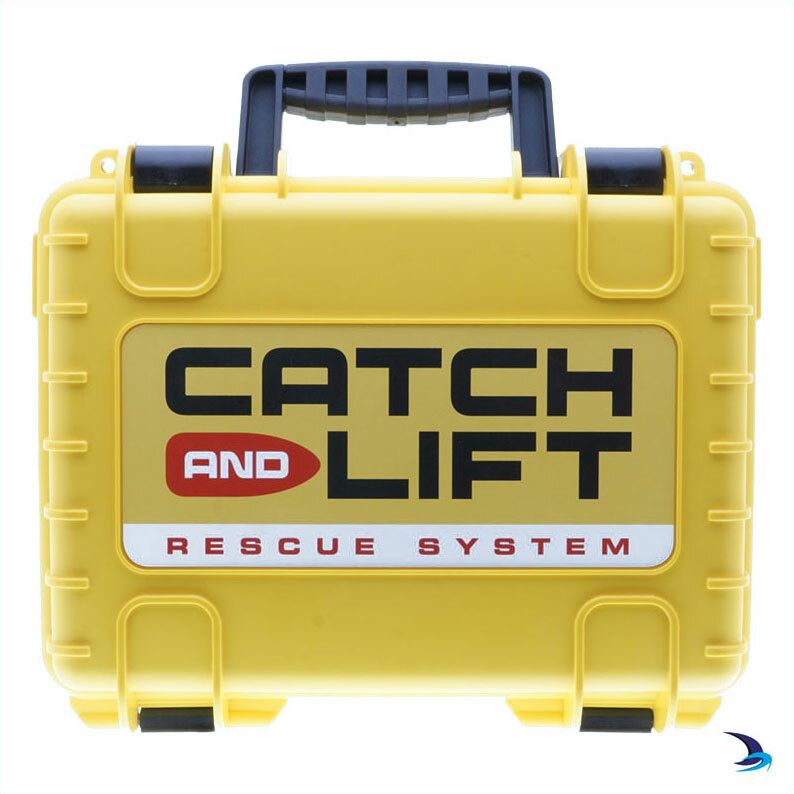 CATCH and LIFT is easy to use in stressful situations and under difficult weather conditions even by an inexperienced crew member. No time wasted on modifications on sailing ship or on re-hooking the MoB. 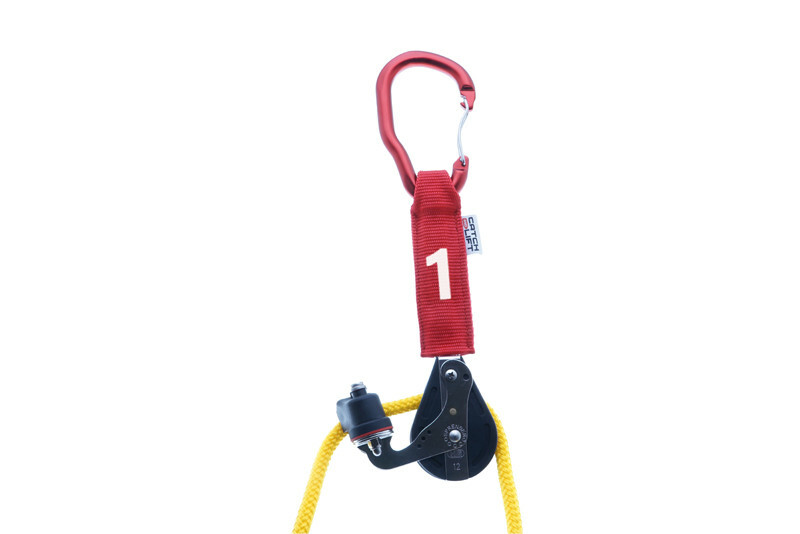 Attaches to the vessel with a snap hook. 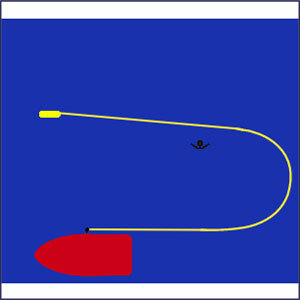 Possible hooking points are on the right or on the left of the shrouds or at the end of the boom (topping lift). 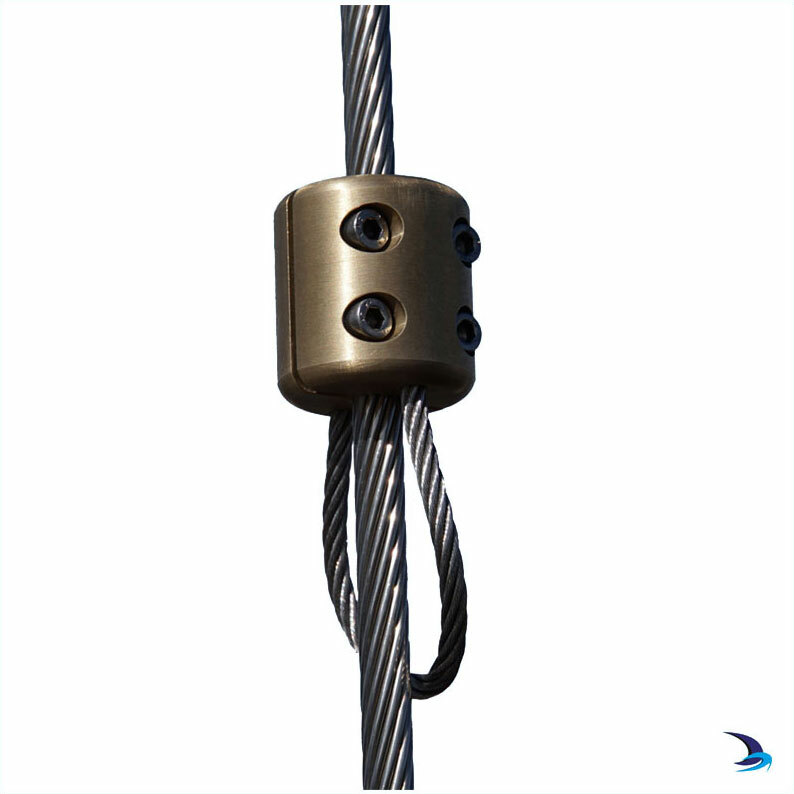 The pulley is pivoted, and any twists in the ropes become automatically untwisted during the return process. 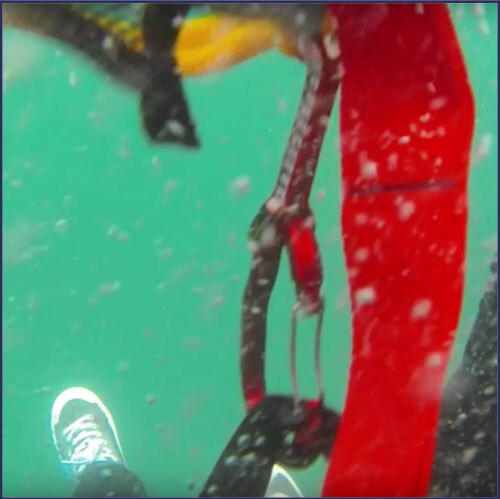 Furthermore, the pulley is fitted with a rope cleat which secures the returned rope and, thus, the MOB immediately upon their return on-board. 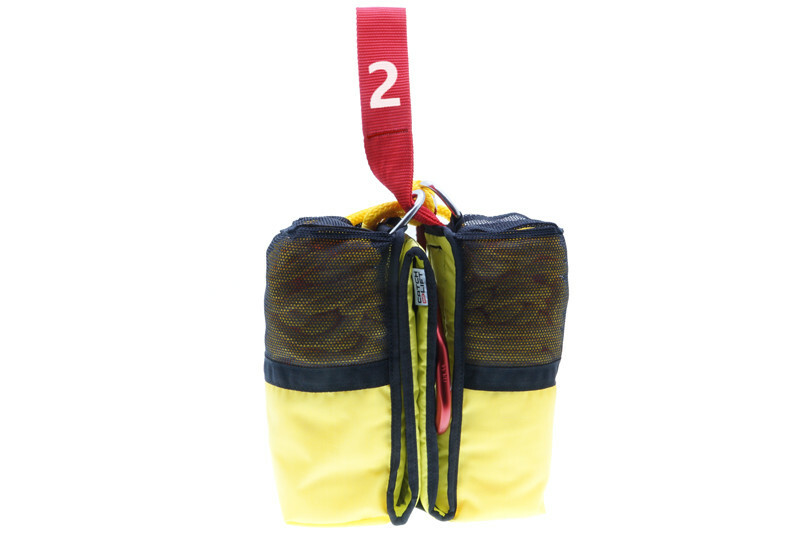 • Brake function: when floating rope is unstrapped, the two pockets fill with water and the sling can be steered to the MOB with pinpoint accuracy. 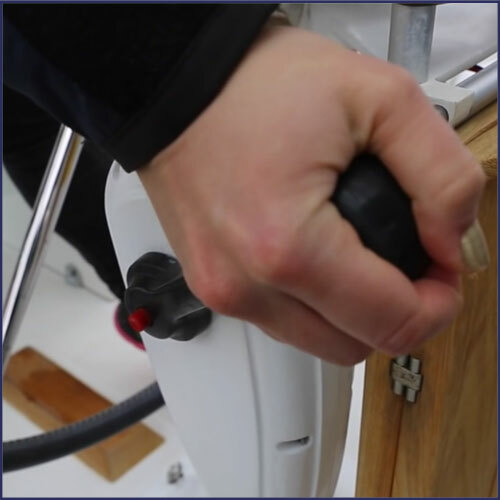 • Snap hook: identical to the snap hook on the pulley, the hook can be easily snapped onto the lifting point of the MOBs lifejacket, even with cold, stiff fingers. 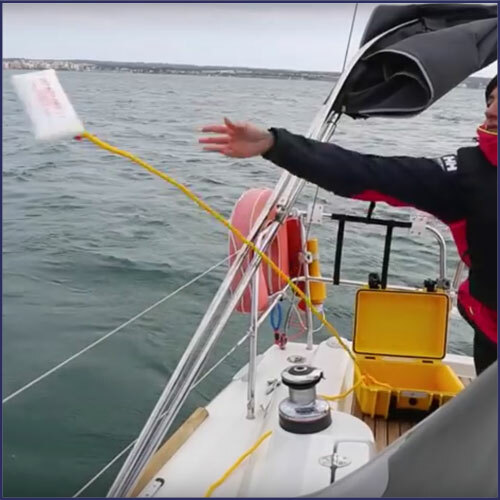 To ensure that the sea anchor only unfolds in water (and not on board the vessel in poor weather conditions), it is packed in an environmentally friendly protective cover that completely dissolves in water in 3 seconds. 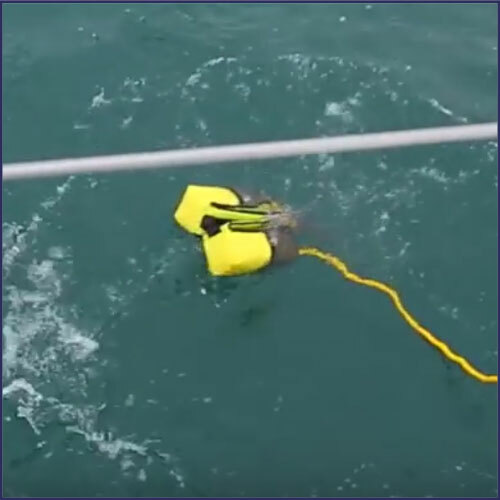 The sea anchor opens quickly, automatically and reliably as soon as it's surrounded by water. 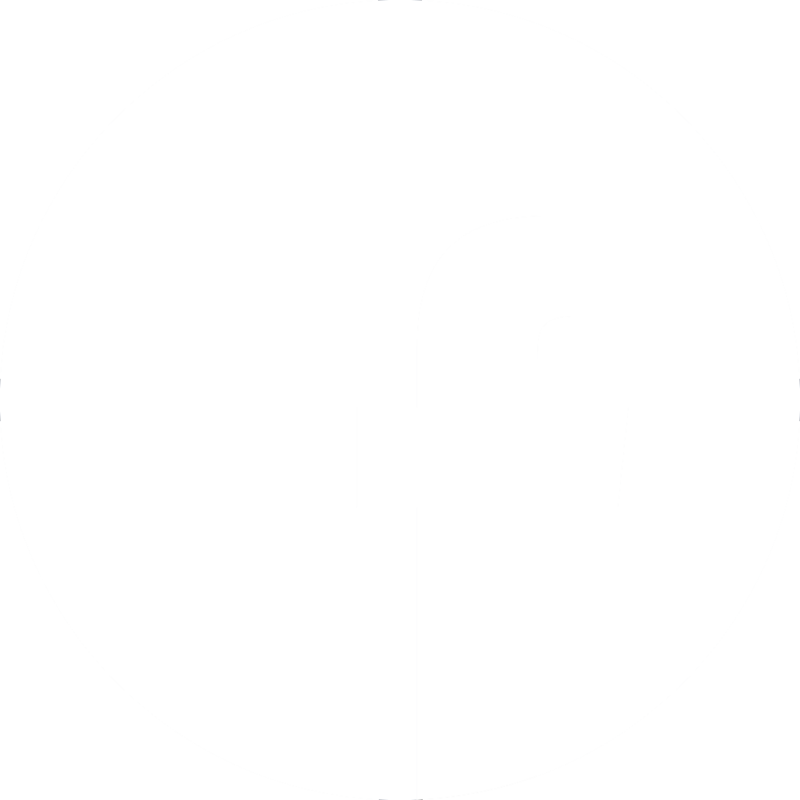 Floats in water and is clearly visible on the surface. Total length is about 60 metres; measured from the pulley, about 50 metres of rope is available for the surrounding of the MOB. 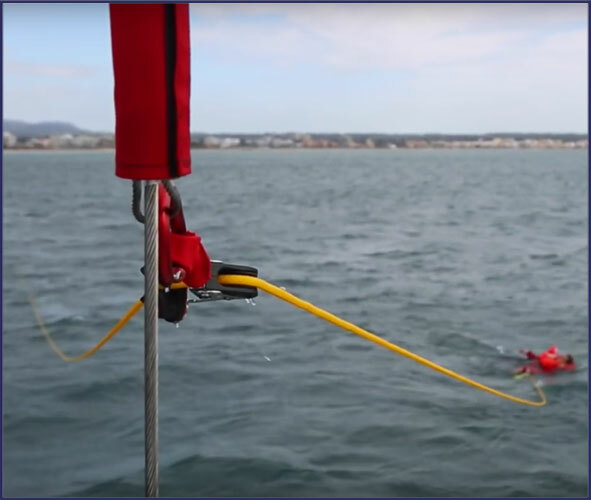 The remaining 10 metres of rope remains for the sea anchor to be jettisoned unimpeded into the water. 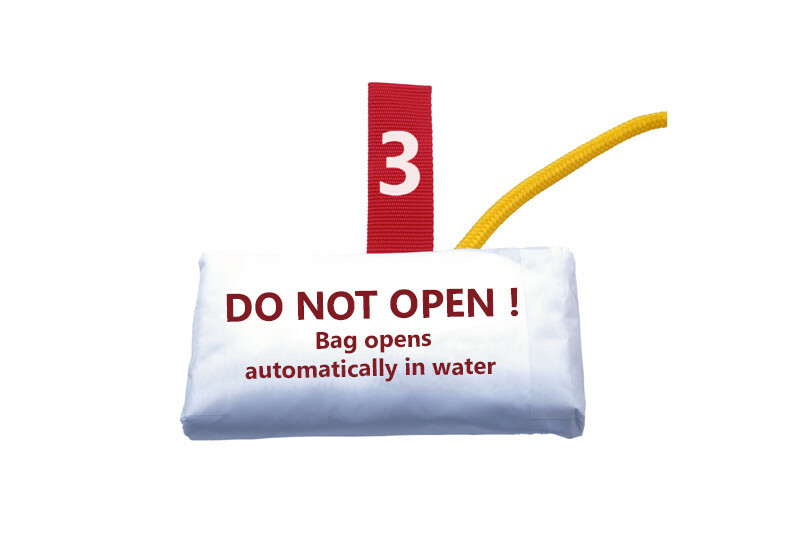 The case is closed with two red seals and safely protects all system components inside from humidity, dirt, UV radiation and mechanical impact. 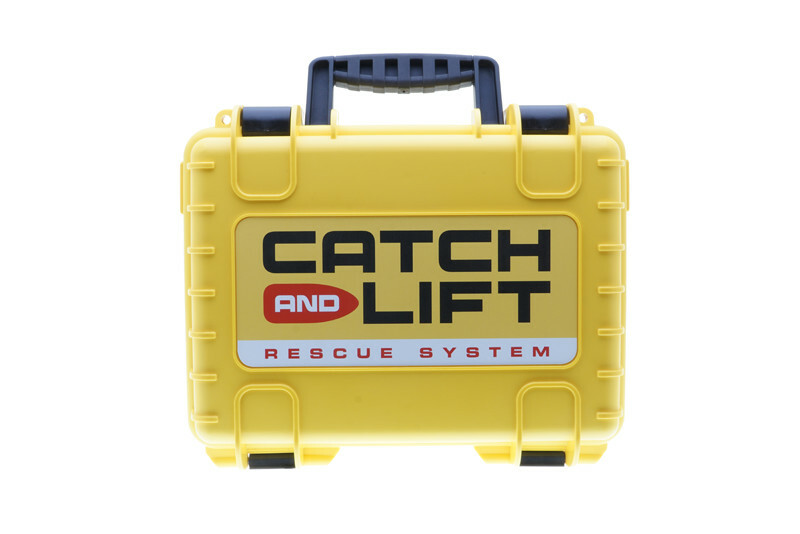 This ensures the reliable function of CATCH and LIFT. 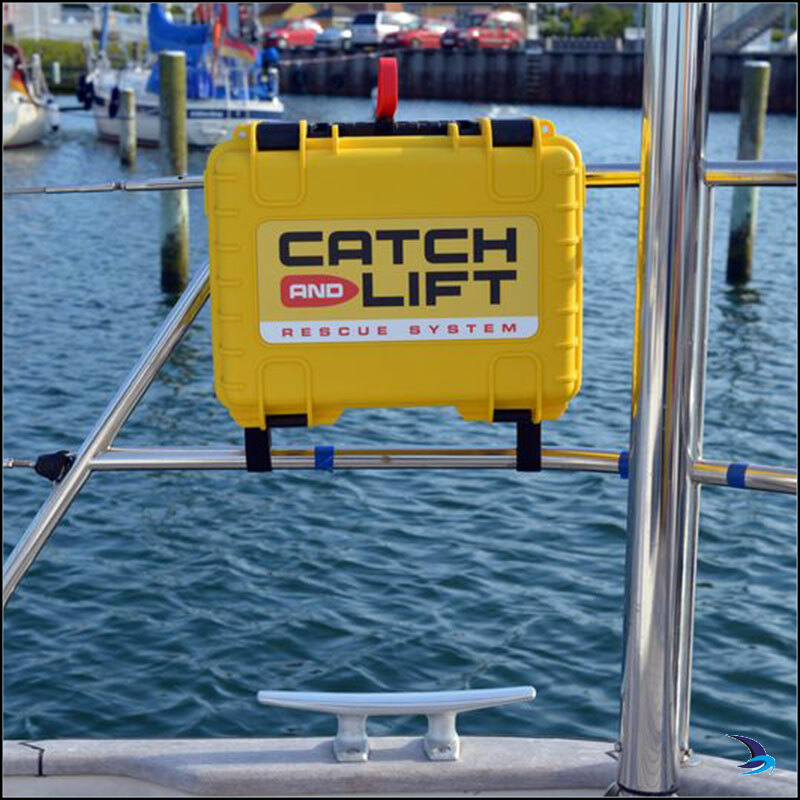 Thanks to the built-in air pressure compensation valve, this case is safe for air travel. The case is air, dust and waterproof according to IP67 standards. 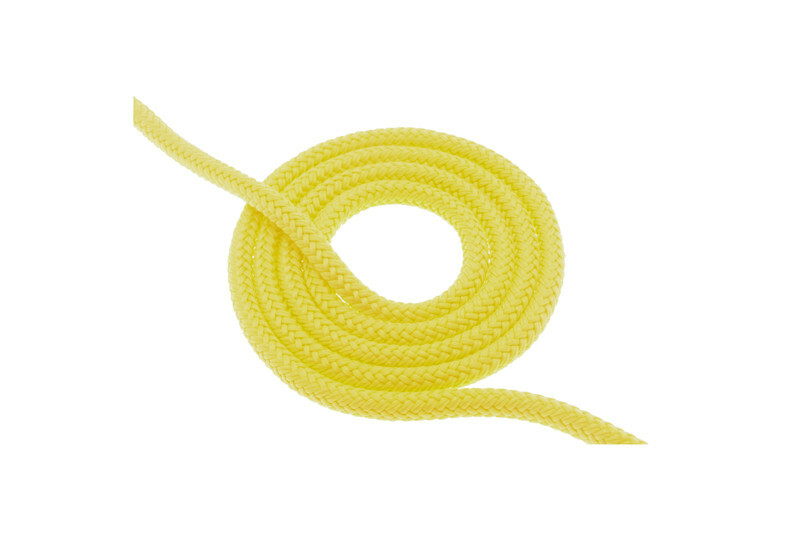 It complies with all the basic requirements of STANAG 4280 - DEF STAN 81-41 standards. 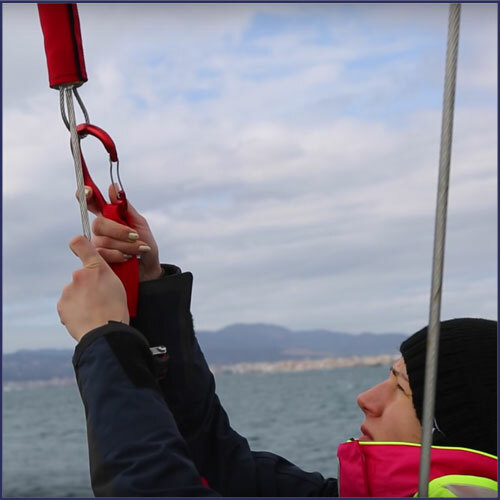 The CATCH and LIFT wire clamp is installed on the shrouds and constitutes the readily available hooking point for the pulley - regardless of the position of the sails. 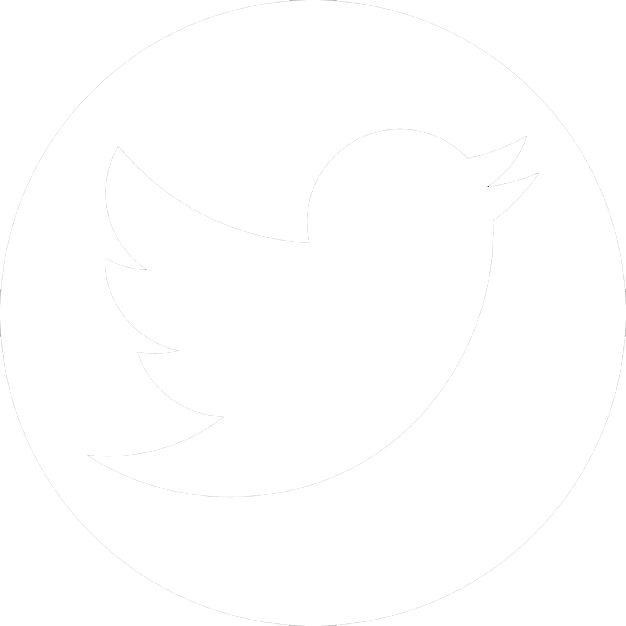 The shrouds are eminently suitable for the LIFT of the MOB due to their stability and position. 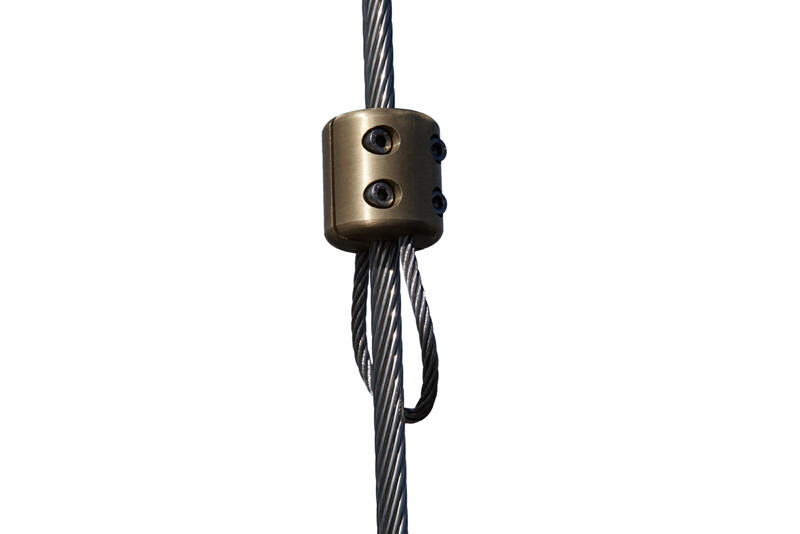 The CATCH and LIFT wire clamp is optional and available for all shroud diameters from 6mm to 20mm.